The team behind the Ocean Forest submittal that won the Innovation Contest’s Overall Best New Concept receive their award from Jerry Buckwalter and Terry Neimeyer. A funny thing happens when innovators get in the same room with other innovators. They start talking to each other and one innovation turns into three, problems become solutions, and pretty soon many of the world’s ills seem close to being cured. 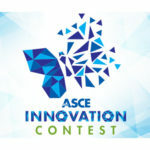 The ASCE Innovation Contest Green Engineering event, May 17-18, in Reston, VA, went something like that, with three category winners and one overall winner trading notes with each other as they presented their innovative ideas to industry leaders. “My experience has been that the greatest opportunity for advances in our field is where you have overlapping areas,” said Mohammad “Mo” Ehsani, Ph.D., P.E., F.ASCE, president of QuakeWrap in Tucson, AZ, whose StifPipe submittal was honored with a Best Value award. 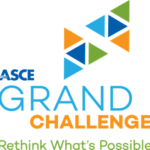 The 2016 Innovation Contest was a first for ASCE, part of the Society’s Grand Challenge strategic initiative to seek ways to reduce infrastructure life-cycle costs. 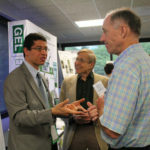 The Green Engineering event – sponsored by KCI Technologies – was the first of four events celebrating the category winners. Similar events will follow this summer in Philadelphia, New Jersey, and California. The Green Engineering event began with a dinner and keynote address from Bill Bertera, the president and CEO of the Institute for Sustainable Infrastructure, an organization co-founded by ASCE that helps administer the Envision rating system. The next morning, the award winners presented their submittals. It did not take the award winners long to make connections. Ehsani, in conversation with fellow honoree Jim Stewart, Ph.D., a physicist working on the Ocean Forest project, discovered a potential mutual benefit. His company’s fiber-reinforced-polymer-based pipe could be a perfect fit for the seaweed forest innovation submitted by the Los Angeles Section Sustainbility Committee. The committee sent Jason Zhang, Stewart and Mark Capron, P.E., M.ASCE, to receive the Overall Best New Concept award for the entire Innovation Contest. 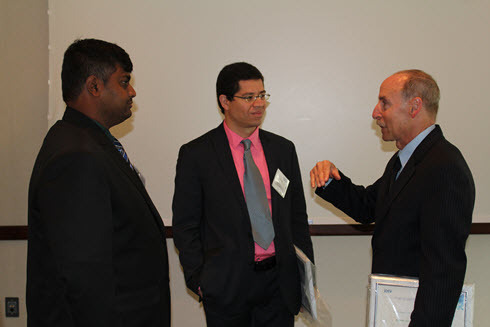 Innovation Contest winners, from left, Mayur Pole, Samer Dessouky, and Mark Capron compare notes at the Green Engineering event. The ocean forests idea might have been the largest in scope – seeking to grow seaweed over 5 percent of the world’s ocean surface in hopes of eliminating the planet’s potential food shortage, solving its atmospheric and ocean carbon dioxide crisis, and replacing total global oil and gas demand. “It’s just plain essential,” said Capron, who began in 2006 to develop the idea that large-scale digesters using seaweed forests in the ocean could be a game-changer for the planet. The Innovation Contest award was a validation of sorts for the team. And the event may have provided tangible help, too, in the form of the other award-winners’ innovations. 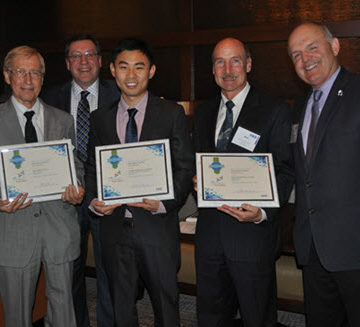 • Overall Winner Best New Concept – “Big Picture Resilience via Ocean Forests,” by ASCE Los Angeles Section Sustainability Committee, Alhambra, CA, Jason Zhang, P.E., A.M.ASCE, Mark Capron, P.E., M.ASCE, Jim Stewart, Ph.D.